The 2019 Coretta Scott King Book Awards Illustrator Winner is Ekua Holmes, illustrator of "The Stuff of Stars" written by Marion Dane Bauer and published by Candlewick Press. In "The Stuff of Stars," Holmes uses hand marbled paper and collage to create a lush explosion of color that brings to life the formation of the universe while distinctly reflecting the essence of the African diaspora. Ekua Holmes is a native and current resident of Boston, Massachusetts, who has worked as an artist, curator, and active member of Boston's art community. She was influenced by the need to fill the void of what she perceived as an absence of positive Black images in her childhood neighborhoods. The 2019 Coretta Scott King Book Awards John Steptoe Award for New Talent Author goes to Tiffany D. Jackon, author of "Monday's Not Coming," published by Katherine Tegen Books, an imprint of HarperCollins Publishers. In the timely thriller “Monday’s Not Coming,” Jackson examines friendship, child abuse, and family relationships. In alternating chapters, the reader is immediately pulled into the angst that Claudia feels as she struggles to piece together thisfragmented tale that concludes with a mind-blowing resolution of Monday’s disappearance. The 2019 Coretta Scott King Book Awards John Steptoe Award for New Talent Illustrator is Oge Mora, illustrator and author of "Thank You, Omu," published by Little, Brown Young Readers. “Thank You, Omu!” is a fresh take on a timeless tale of altruism and community-mindedness. Mora’s collage work is skillfully pieced together with acrylic, marker, pastels, patterned paper, and old book clippings, creating a visual smorgasbord. Mora brings to life an amalgamation of many grandmothers and captures the African spirit of generosity and community. “Finding Langston” by Lesa Cline-Ransome, published by Holiday House. “The Parker inheritance” by Varian Johnson, published by Arthur A. Levine Books, an imprint of Scholastic Inc.
“The season of Styx Malone” by Kekla Magoon, published by Wendy Lamb Books, an imprint of Random House Children’s Books, a division of Penguin Random House LLC. “Hidden Figures” illustrated by Laura Freeman, written by Margot Lee Shetterly, published by HarperCollins Children’s Books, a division of HarperCollins Publishers. “Let the Children March” illustrated by Frank Morrison, written by Monica Clark-Robinson, published by Houghton Mifflin Harcourt Publishing Company. “Memphis, Martin, and the Mountaintop” illustrated by R. Gregory Christie, written by Alice Faye Duncan, published by Calkins Creek, an imprint of Highlights. Dr. Pauletta Bracy is Professor of Library Science and Director of the Office of University Accreditation at North Carolina Central University (NCCU). 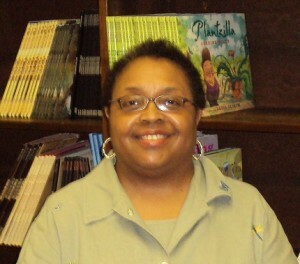 She has successfully merged scholarship and service with publications such as “Libraries, Literacy and African American Youth ”(co-edited with Sandra Hughes Hassell and Casey H. Rawson) as well as her work with the Coretta Scott King Book Awards and with workshops and conferences dedicated to promoting African American books for children and teens. She recently served as co-organizer for Celebrating Our Voices: Black Children's Literature Symposium and Book Festival held at NCCU. The Coretta Scott King Book Awards seal images and award names are solely and exclusively owned by the American Library Association. The 2018 Coretta Scott King Book Awards Author Winner is Renée Watson, author of "Piecing Me Together,” published by Bloomsbury Children's Books. "Piecing Me Together" is an inspiring tale in which Watson pulls the reader into Jade's world by sharing Jade's love for the Spanish language and providing a different, yet necessary story of Black womanhood. Renée Watson is an author, educator, and activist from Portland, Oregon, who now lives in New York City. Watson has taught creative writing and theater in public schools and community centers throughout the U.S. for over twenty years. She often focuses on the lived experiences of Black girls and women. "Watson brings us a coming-of-age tale that eloquently explores the many facets of Jade, a brilliant and creative teen on the brink of young adulthood," said Coretta Scott King Book Awards Jury Chair Sam Bloom. The 2018 Coretta Scott King Book Awards Illustrator Winner is given to Ekua Holmes, illustrator of "Out of Wonder: Poems Celebrating Poets,” written by Kwame Alexander with Chris Colderley and Marjory Wentworth, published by Candlewick Press. In "Out of Wonder: Poems Celebrating Poets," Ekua Holmes's mixed-media collage images balance the tone and tenor of the new poems created by the authors, while paying homage to each of the featured poets in the subtle detailas extracted from various aspects. "Holmes expertly infuses the multilayered poetry with the richness of the Black art aesthetic in her original, evocative, vibrantly colored compositions," said Coretta Scott King Book Awards Jury Chair Sam Bloom. The Coretta Scott King/John Steptoe Award for New Talent affirms new talent and offers visibility for excellence in writing and/or illustration at the beginning of a career as a published African-American creator of children’s books. This year’s winning Author is David Barclay Moore for “The Stars Beneath Our Feet” published by Alfred A. Knopf, an imprint of Random House Children's Books, a division of Penguin Random House LLC. "The Stars Beneath Our Feet" provides a realistic lens on the Black American experience and infuses it with heart, soul, and imagination. Moore plays with language, culture, stereotypes, and reality to create an engaging book that will resonate with youth in urban communities everywhere searching for positive survival techniques. The Coretta Scott King/John Steptoe Award for New Talent affirms new talent and offers visibility for excellence in writing and/or illustration at the beginning of a career as a published African-American creator of children’s books. This year’s winning illustrator is Charly Palmer for “Mama Africa! How Miriam Makeba Spread Hope with Her Song” published by Farrar Straus Giroux Books for Young Readers, an imprint of Macmillan Publishing Group, LLC. "Mama Africa! How Miriam Makeba Spread Hope with Her Song" visually tells the story of the singer's career through the use of vibrant, colorful illustrations that juxtapose her rise in fame in comparison to the South African people's civil rights struggle with apartheid. Palmer's bold illustrations expertly complement the text in a riveting duet. "Crown: An Ode to the Fresh Cut" by Derrick Barnes, illustrated by Gordon C. James, and published by Bolden, an Agate Imprint, a Denine Millner Book. "Long Way Down" by Jason Reynolds, published by Atheneum, an imprint of Simon & Schuster Children's Publishing Division, a Caitlyn Dlouhy Book. "The Hate U Give" by Angie Thomas, published by Balzer + Bray, an imprint of HarperCollins Publishers. "Crown: An Ode to the Fresh Cut" illustrated by Gordon C. James, written by Derrick Barnes, and published by Bolden, an Agate Imprint, a Denene Millner Book. "Before She Was Harriet: The Story of Harriet Tubman" illustrated by James E. Ransome, written by Lesa Cline-Ransome, and published by Holiday House. Eloise Greenfield is the recipient of the 2018 Coretta Scott King-Virginia Hamilton Award for Lifetime Achievement. "Eloise Greenfield is a trailblazer whose extraordinary books of poetry and prose have influenced many and continue to resonate with children today. Her rich body of work inspires and enriches readers," said Award Committee Chair Deborah D. Taylor. Eloise Greenfield was born in Parmele, North Carolina, and currently resides in Washington D.C. Early in life, she discovered a love of reading and writing and realized there were few books that showed the fullness of African American life. She published her first book in 1972 and went on to write and publish more than 40 books. From "Honey, I Love" to "The Great Migration," this multiple award-winning author has captivated audiences through the years. The Coretta Scott King-Virginia Hamilton Award for Lifetime Achievement is named in memory of beloved children’s author Virginia Hamilton. The annual award is presented in even years to an African American author, illustrator or author/illustrator for a body of his or her published books for children and/or young adults, and who has made a significant and lasting literary contribution. The 2017 Coretta Scott King Book Awards Author Winner is given to Congressman John Lewis and Andrew Aydin for “March Book: Three,” published by Top Shelf Productions, an imprint of IDW Publishing, a division of Idea and Design Works LLC. “March: Book Three,” is a first-hand account of the Civil Rights Movement through Lewis’ eyes. Using vivid language and dynamic visual storytelling, it details events from the Freedom Summer to the 1965 Voting Rights Act. Readers experience the realities of segregation, the sacrifices required for the struggle and the courage that defines true leaders. “’March: Book Three’ is a riveting and multilayered graphic personal history of the civil rights movement and a window into the mind and experiences of a living legend,” said Coretta Scott King Book Awards Jury Chair Dr. Rudine Sims Bishop. The 2017 Coretta Scott King Book Awards Illustrator Winner is given to Javaka Steptoe, illustrator and author of "Radiant Child: The Story of Young Artist Jean-Michel Basquiat,” published by Little, Brown and Company. In “Radiant Child: The Story of Young Artist Jean-Michel Basquiat,” collage style paintings with rich texture, bold colors and thick lines take readers on an emotional journey. Steptoe’s style blends with motifs from Basquiat’s own art to create this stunning picture book biography. “Steptoe’s illustrations for ‘Radiant Child’ are striking. Painted on found wood, they echo the ‘sloppy, ugly, and sometimes weird, but somehow still beautiful’ quality of Jean-Michel Basquiat’s art, while relating the story of his difficult life,” said Bishop. Javaka Steptoe is an artist, designer and children’s book illustrator. His debut work, “In Daddy’s Arms I Am Tall: African Americans Celebrating Fathers,” an anthology featuring poetry from notable poets, including Folami Abiade, Dinah Johnson and Carole Boston Weatherford, Angela Johnson and Sonia Sanchez, earned him his first Coretta Scott King Illustrator Award, in 1998; “Jimi: Sounds Like a Rainbow” (written by Gary Golio), received a CSK Illustrator Honor in 2011. He lives in Brooklyn, New York. Dr. Bishop is a winner of numerous awards and has served as a respected member of many book awards committees over the course of her long and distinguished career. Her influential writing, speaking, and teaching articulates the history and cultural significance of African-American children’s literature. Her globally cited work, “Mirrors, Windows and Sliding Glass Doors,” has inspired movements for increased diversity in books for young people, and provides the basis for the best multicultural practice and inquiry for students, teachers, writers and publishing houses. The 2016 Coretta Scott King Book Awards Illustrator Winner is given to Bryan Collier, illustrator of “Trombone Shorty." Jerry Pinkney is the recipient of the 2016 Coretta Scott King–Virginia Hamilton Award for Lifetime Achievement. The announcement was made today by the American Library Association (ALA), during the ALA Midwinter Meeting & Exhibits held Jan. 8-12, in Boston. “Accomplished artist and illustrator Jerry Pinkney constructs books which explore cultural experiences and ethnic identity. This dynamic process offers amazing insight, remarkable skill, and distinctive style. Through the visual life of his illustrations, Pinkney has created a vast and broad legacy for child and adult audiences,” stated Awards Jury Chair Dr. Darwin L. Henderson. In selecting Jerry Pinkney, the Jury observes that his illustrations detail a world that resonates with readers long after the pages of a book have been turned. His five decades of work offer compelling artistic insights into the legacy of African American storytelling and experience. Beyond Pinkney’s technical brilliance, his support of differentiated learning through art and of young illustrators sets him apart as both artist and educator. His powerful illustrations have redefined the scope of the sophisticated picture book and its use with multiple levels of learners. Published by Nancy Paulson Books, an imprint of Penguin Group, Penguin Group (USA) LLC, is an absorbing free verse memoir of a young girl growing up black and female in the 1960s and ‘70s full of arresting details and vivid imagery. Her choice of events and memories incorporate important historical events and her own evolution into the award-winning writer she has become. From the time she was a child scribbling her name, Woodson told stories both true and not so true. After graduating from Adelphi University, she published her first book in 1990. 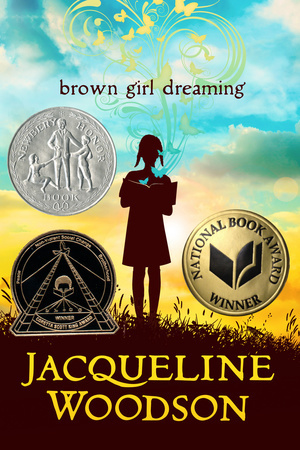 Winner of many book awards, most recently the 2014 National Book Award Young People’s Literature, her published works range from picture books to young adult novels. 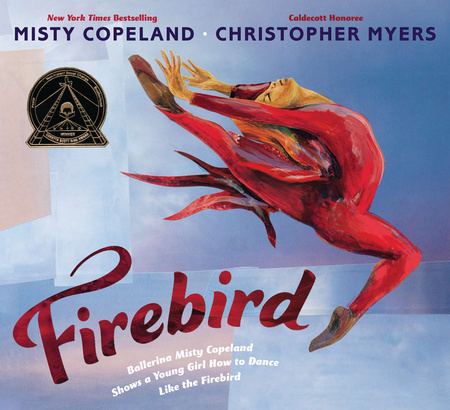 The 2015 Coretta Scott King Book Awards Illustrator Winner is given to Christopher Myers, illustrator of “Firebird." Written by Misty Copeland and published by G. P. Putnam’s Sons, Penguin Group USA, the illustrations of Myers depict the brilliant colorful world of the ballerina with its dancers on en pointe. “The vibrant lines and colors mirror the movement of Copeland’s “Firebird”, says Patton. “Encased in gorgeous collages and endpaper, balletic poses, leaping and bounding into the air at tremendous heights spur the imagination and inspire a young girl’s hopes and dreams,” said Patton. Born in New York, Myers is a graduate of Brown University. He also participated in the Whitney Museum of Art Independent Studio Program. His illustrations have received numerous awards, including a Caldecott Honor, and four Coretta Scott King Honors. Meyers lives in Brooklyn, where, in addition to his illustrating children’s books, he is also a photographer and clothing designer. The 2015 John Steptoe Award for New Talent is given to Jason Reynolds, author of "When I Was the Greatest,” published by Atheneum Books for Young Readers, an imprint of Simon & Schuster Children’s Publishing Division. Reynolds' lively and engaging portrayal of urban teenage boys is a compelling story about neighborhood, family, friendship, values and the acceptance of difference. Living in an underserved neighborhood in Brooklyn, Allen/Ali befriends Noodles and his brother Needles, who has Tourette syndrome. 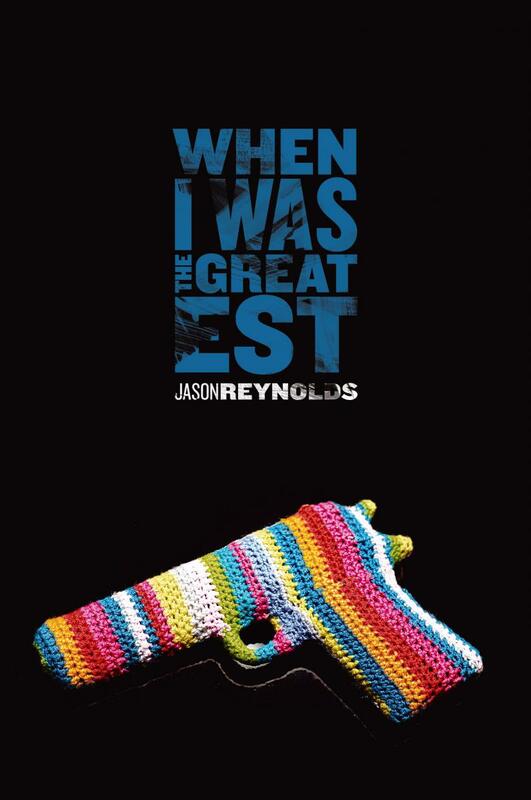 In an authentic contemporary voice, Reynolds focuses on the importance of family, the acceptance of responsibility and the obligations of friendship and portrays a likeable teenager learning how to be a good man. “The Crossover” by Kwame Alexander and published by Houghton Mifflin Harcourt Publishing Company. “How I Discovered Poetry” by Marilyn Nelson, illustrated by Hadley Hooper and published by Dial Books, an imprint of Penguin Group (USA) LLC. “How It Went Down” by Kekla Magoon, and published by Henry Holt and Company, LLC. “JOSEPHINE: The Dazzling Life of Josephine Baker” illustrated by Christian Robinson written by Patricia Hruby Powell and published by Chronicle Books LLC. “Little Melba and Her Big Trombone” illustrated by Frank Morrison, written by Katheryn Russell-Brown and published by Lee and Low Books, Inc.
Deborah D. Taylor, coordinator of School and Student Services, Enoch Pratt Free Library, Baltimore, is the recipient of the 2015 Coretta Scott King-Virginia Hamilton Practitioner Award for Lifetime Achievement. The announcement was made today by the American Library Association (ALA) during the ALA Midwinter Meeting, held Jan.30 – Feb. 3 in Chicago. “Deborah D. Taylor is an extraordinary youth librarian and literacy advocate,” stated Award Committee Chair Loretta Dowell. Taylor’s career in public service began more than 40 years ago with the Enoch Pratt Free Library in Baltimore, where she is currently coordinator of School and Student Services. Her career has been spent as mentor, educator and literacy advocate for young adults. As an inspiring young adult librarian, leader in national associations and university instructor, she has been distinctly effective in introducing young people and her professional colleagues to the outstanding work of African American authors. Rita Williams-Garcia, the author of the Newbery Honor–winning novel “One Crazy Summer,” also a winner of the Coretta Scott King Award, a National Book Award finalist, and the Scott O'Dell Award for Historical Fiction. Residing in Jamaica, N.Y., she is on the faculty at the Vermont College of Fine Arts. Bryan Collier, illustrator of “Knock knock: my dad’s dream for me” illustrated by Bryan Collier and published by Little, Brown and Company, Hachette Book Group. In “Knock knock: my dad’s dream for me,” Bryan Collier brings to life Daniel Beaty’s powerful narrative of a son’s longing for his absent father. With his distinctive watercolor and collage technique, Collier captures the nuances of the urban setting and the son’s journey to manhood. Theodore Taylor III, illustrator of for “When the beat was born: DJ Kool Herc and the creation of hip hop” written by Laban Carrick Hill and published by Roaring Brook Press, a division of Holtzbrinck Publishing Holdings Limited Partnership . Taylor's stylish artwork shows young Clive Campbell’s transformation into the DJ who helped launch hip-hop in the early 70’s. Using retro cartoon-style illustrations rendered in a palette that emphasizes browns, greens, reds and greys he transforms words on a page into a rhythmic beat that brings the words alive. Kadir Nelson, illustrator and author of “Nelson Mandela,” published by Katherine Tegen Books, an imprint of HarperCollins Publishers. Andrea Davis Pinkney, author of Hand in Hand: Ten Black Men Who Changed America, published by Disney/Jump at the Sun Books, an imprint of Disney Book Group. Bryan Collier, illustrator of I, Too, Am America, published by Simon & Schuster Books for Young Readers, an imprint of Simon & Schuster Children’s Publishing Division. Vaunda Micheaux Nelson, author of No Crystal Stair: A Documentary Novel of the Life and Work of Lewis Micheaux, Harlem Bookseller, illustrated by R. Gregory Christie, and published by Carolrhoda Lab, an imprint of Carolrhoda Books, a division of Lerner Publishing Group, Inc.
Kadir Nelson, illustrator of I Have a Dream: Martin Luther King, Jr., written by Martin Luther King, Jr., and published by Schwartz & Wade Books, an imprint of Random House Children’s Books, a division of Random House, Inc.
Vaunda Micheaux Nelson, author of Bad News for Outlaws: The Remarkable Life of Bass Reeves, Deputy U.S. Marshal, illustrated by R. Gregory Christie (Carolrhoda Books, a division of Lerner Publishing Group, Inc.). Bryan Collier, illustrator of Rosa, written by Nikki Giovanni (Henry Holt and Company). The Coretta Scott King Book Awards Winner, Honor, and John Steptoe Award for New Talent seals are property of the American Library Association and cannot be used in any form or reproduced without permission of the ALA Office of Rights and Permissions.